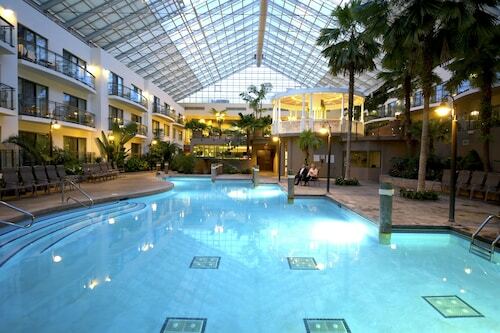 Located in Downtown London, this eco-friendly hotel is within a 10-minute walk of Centennial Hall and Victoria Park. Budweiser Gardens and Covent Garden Market are also within 1 mi (2 km). London Station is 19 minutes by foot. Located in Downtown London, this hotel is steps from Covent Garden Market and Budweiser Gardens. Museum London and London Convention Center are also within 15 minutes. London Station is 6 minutes by foot. 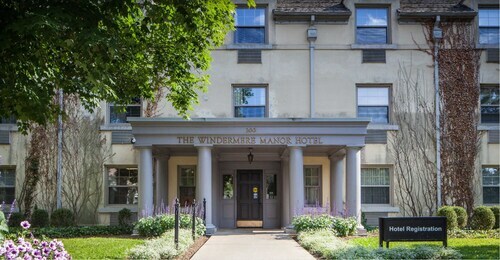 Situated in London, this hotel is within 3 mi (5 km) of University of Western Ontario, Masonville Place, and Victoria Park. London Music Hall and Budweiser Gardens are also within 6 mi (10 km). 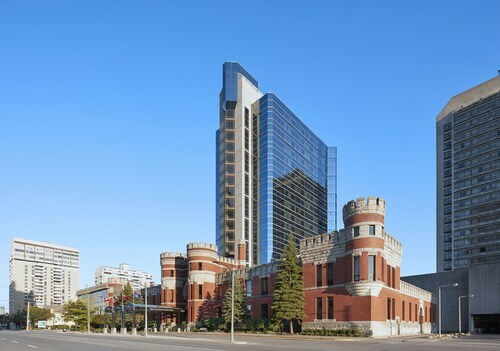 Located in Downtown London, this eco-friendly hotel is within a 10-minute walk of London Convention Center and Centennial Hall. Grand Theatre and Budweiser Gardens are also within 15 minutes. London Station is 10 minutes by foot. 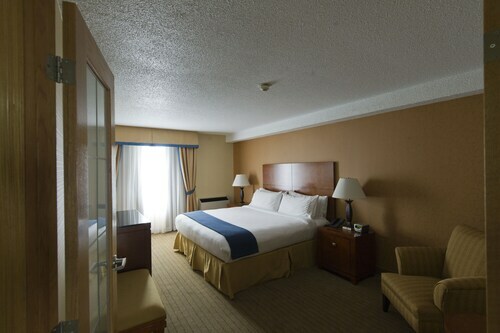 Located in Downtown London, this hotel is within a 10-minute walk of Citi Plaza Mall and London Convention Center. Budweiser Gardens and Covent Garden Market are also within 15 minutes. London Station is 12 minutes by foot. Situated in the suburbs, this hotel is within 3 mi (5 km) of London Health Sciences Centre, University of Western Ontario, and Victoria Park. Masonville Place and Harris Park are also within 3 mi (5 km).